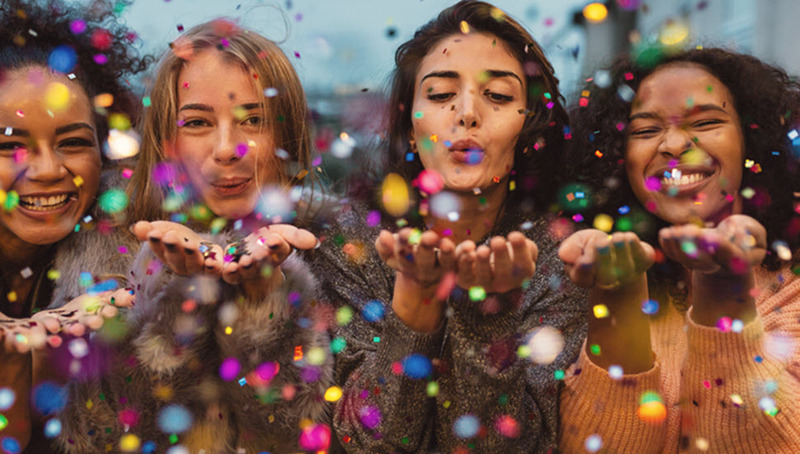 As the decades pass, party planning becomes more fun, but it also seemingly becomes more difficult. With the ongoing evolution of technology, there are so many digital options for games and activities to bring into an event as entertainment for guests, from sports games to digital graffiti walls. However, every once in a while it’s great to get back to the basics—good old-fashioned arts and crafts. Guests love activities they cannot only participate in, but can bring home with them; what better way to do that than with Wax Hands? Though Wax Hands has been around for a while, recently they’ve grown in popularity amongst party enthusiasts and planners alike. In this article, we’ll talk more about why Wax Hands might be perfect for your next occasion, including different events they’re commonly used at, the benefits of the activity, and what you can do to schedule it at your own event. This special rite of passage is an occasion to be commemorated with special and fun activities. Wax Hands can bring life to the party, can unite family members and guests by helping them interact with one another, and can create an overall memorable experience cherished by all. Themed parties such as sports parties and other special events like red carpet evenings can be spiced up with a themed Wax Hands booth. For instance, though you can customize your Wax Hand, you can also have your guests mold their hands all in the same position to better remember the occasion. Corporate events can be stuffy and uncomfortable—Wax Hands are a fun way to break the ice and get employees and coworkers talking amongst each other. It lightens the mood and gets people thinking creatively, which can be difficult to do in an otherwise uncomfortable setting. There are many reasons why Wax Hands accompanies any event or party perfectly, not just because they’re really cool and decorative! Finding the right activities for your event can serve as an opportunity to give back to your guests. With Wax Hands, every creation they make they get to keep! This serves as a gorgeous, decorative token to remember your event by for years to come. Some people are apprehensive to mold their hand in wax because they imagine it to be uncomfortable or painful—actually, clients who utilize Wax Hands often report that it feels great and soothing! While some event activities can be quite costly, especially ones that include souvenirs for guests, Wax Hands is relatively affordable and won’t break your event-planning budget. Besides the souvenir guests get to leave with, the experience of creating a Wax Hand is memorable in and of itself. Family members, couples, and best friends often mold their hands together, creating a lasting symbol of family bond, love and friendship. You won’t find a single individual of any age who isn’t captivated by the Wax Hands experience. No matter whether your guests are older or younger, creating a Wax Hand immediately transports us into a youthful, fun state of mind where we can let our creative juices flow! Perhaps the best part of having Wax Hands at an event is that it is indeed a truly creative process. Your guests can customize their creations however they’d like, including fun, unique hand positions and color schemes. 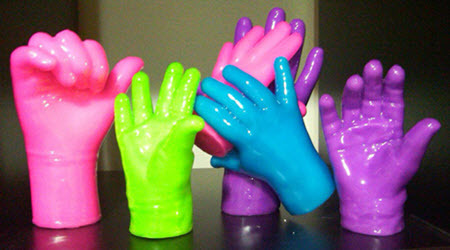 Ask Creative Event Services for More Information on Wax Hands! Wax Hands has been steadily growing in popularity over the years through Creative Event Services, seen at parties and events all over the areas of Boston, Hartford, and New York. It’s a fun and creative way to engage guests, get them to interact with one another, and create a truly unique souvenir to take home as a memory of the event. If you’d like to learn more about Wax Hands or are interested in having them at your next event, please contact us directly to utilize our event planning services.